Thanks for joining us! 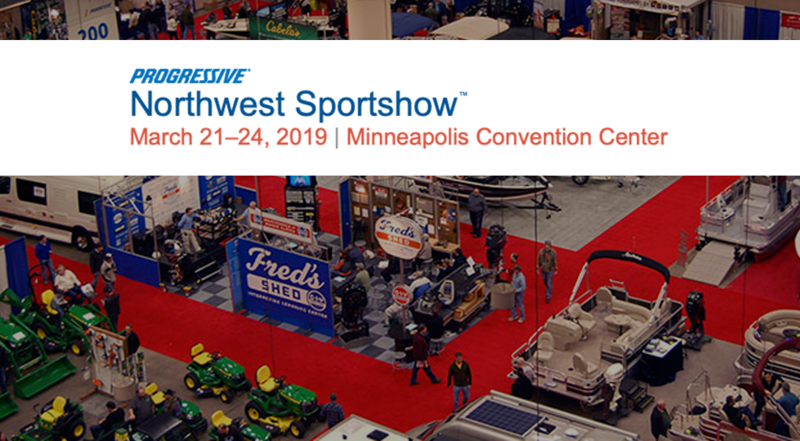 An 87-year tradition, the Progressive· Insurance Northwest Sportshow is the season opener for boaters, fishermen, hunters and outdoor enthusiasts from throughout the upper Midwest. You are in for an exciting adventure! We’ve packed the 2019 edition wit h everything you’ve grown to love about the show as well as a few new features to add to your enjoyment. With more than 300,000 sq. ft. of exhibit space to explore, you’re sure to find everything you and your family need to gear up for your outdoor adventures. It’s an experience like no other – offering you a unique opportunity to see, touch and try new products, and catch up on the latest innovations and cutting-edge technologies. Are you on the hunt for great deals? You will not be disappointed – find once-a-year deals on boats and ATVs for every budget, as well as the area’s largest selection of tackle, marine electronics, hunting gear and travel destinations under one roof.